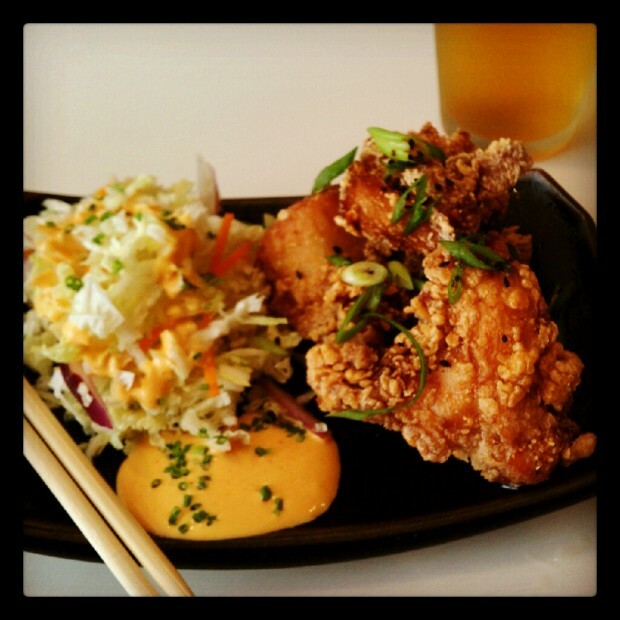 Its obvious; our favorite thing to do in a new city or any city for that matter, is eat! The way we off set this huge caloric intake is by running. 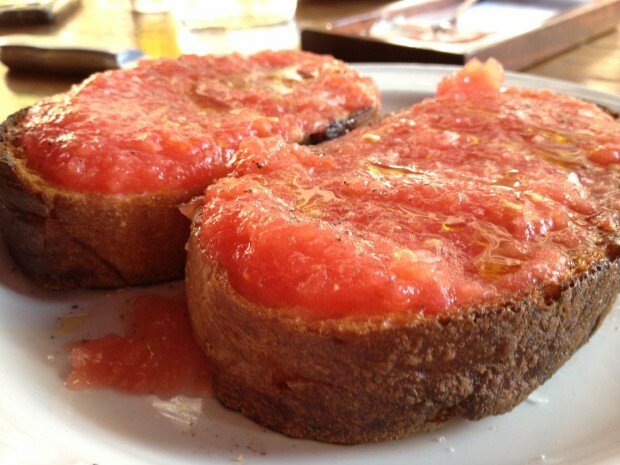 We usually like to run to breakfast, whichever route that might be, and walk from then on. However if there is a body of water somewhere in the vicinity, you can bet that our route will be along it! The fact that Illinois is technically a land-locked state, makes this place -anchored right on Lake Michigan- even more spectacular. The “25: 35 Short List” – these are the few establishments that we feel have a earned a special place of distinction in Chicago and to which we give our highest recommendation (they are also bolded and marked by “*” before the business name). 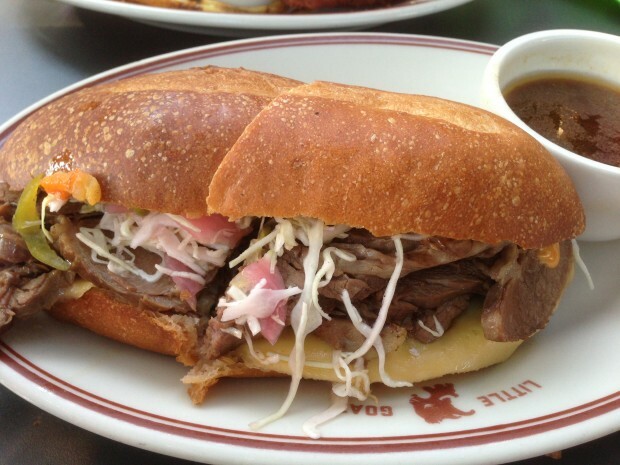 The rest of our Chicago recommendations are listed below it. 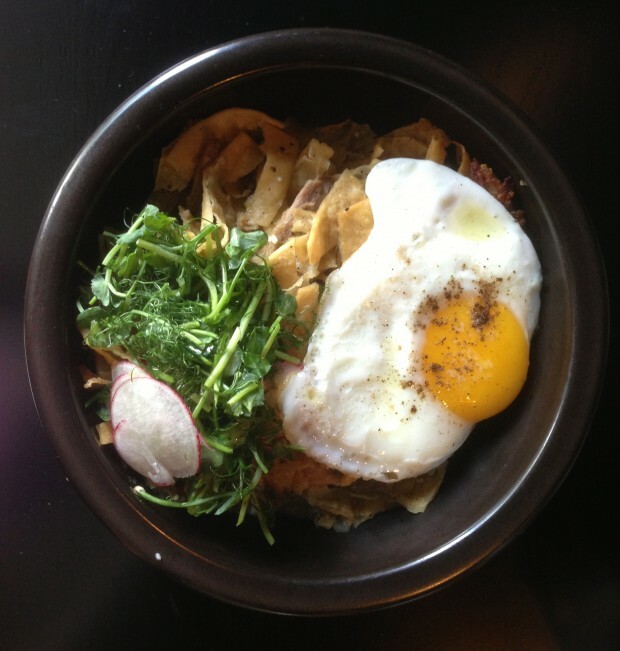 *Bongo Room (Wicker Park location) – unique brunch and breakfast spot in Wicker Park. Eclectic vibe with exposed brick interior. 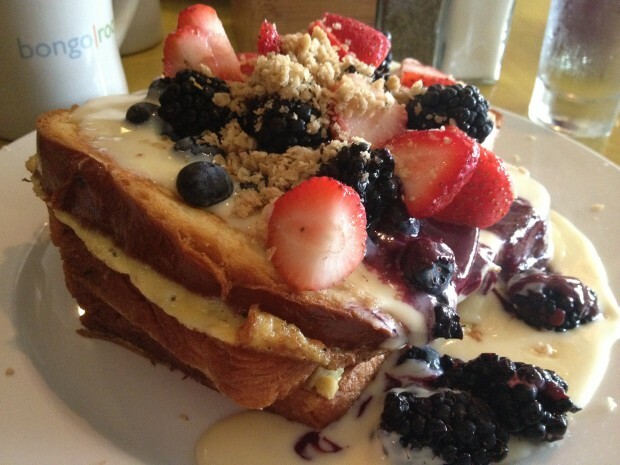 We’ve had a lot of breakfasts in our lives, but we unanimously agreed that the Vanilla Bean Brioche French Toast with warm white chocolate cream, triple berry coulis, fresh berries and topped with oatmeal streusel crumbs was hands-down the Best French Toast we’ve ever had. The Breakfast Burrito, a cilantro-jalapeno tortilla stuffed with avocado and scrambled eggs, was an amazing savory feast. It has been and will continue to be a Chicago tradition for us. 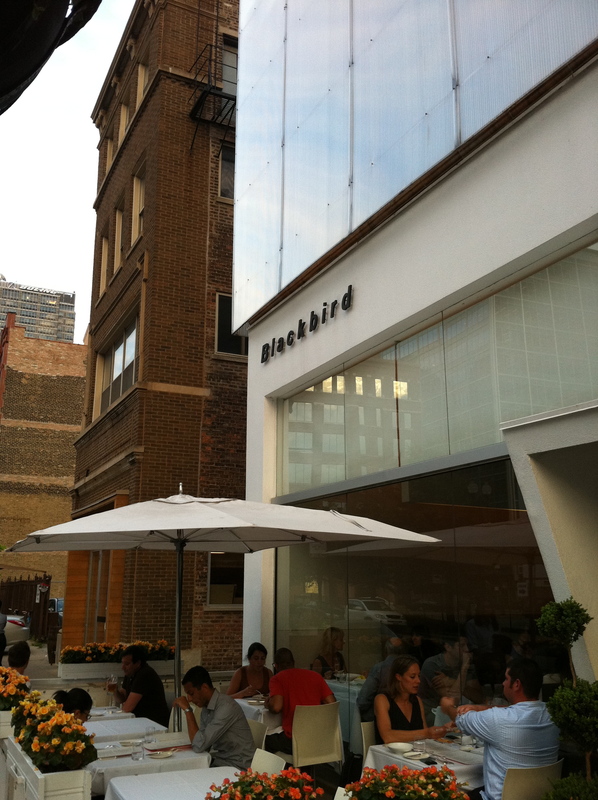 *Blackbird – this contemporary restaurant in the West Loop area from chef Paul Kahan has been a destination spot for foodies since it opened in 1998 and has maintained it’s creativity, reputation and high quality. The space is surprisingly small with a clean white minimalist aesthetic that is intimate yet not cramped. The aged pekin duck breast with green garbanzos, tequila braised radish, watermelon and white sesame as well as the duck fat poached elk strip loin with whole wheat knefla, crispy broccoli, strawberries and bergamot cream were perfectly prepared and easily among two of the top dishes we have tasted anywhere. 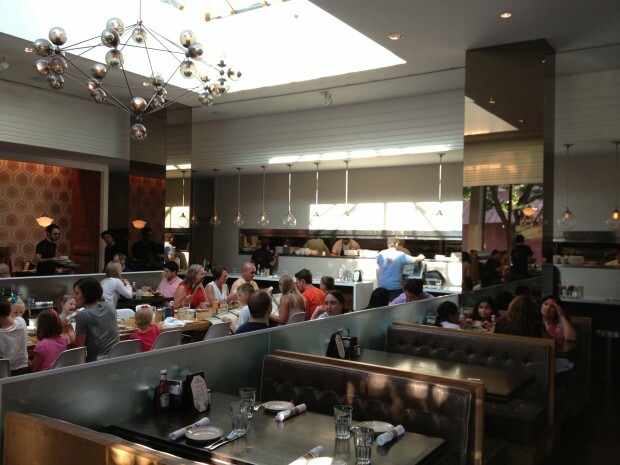 *Avec – there is one simple way to go Chicago and have a guaranteed great foodie experience – simply eat at Chef Paul Kahan and One Off Hospitality restaurants. Avec has been around since 2003, but, like Blackbird, is still the top of its game. Here, the menu focuses on wine and Mediterranean small dishes in a decor reminiscent of a modern Japanese spa inside of a beautiful wine barrel. The service was kind and stellar and every single dish shined. 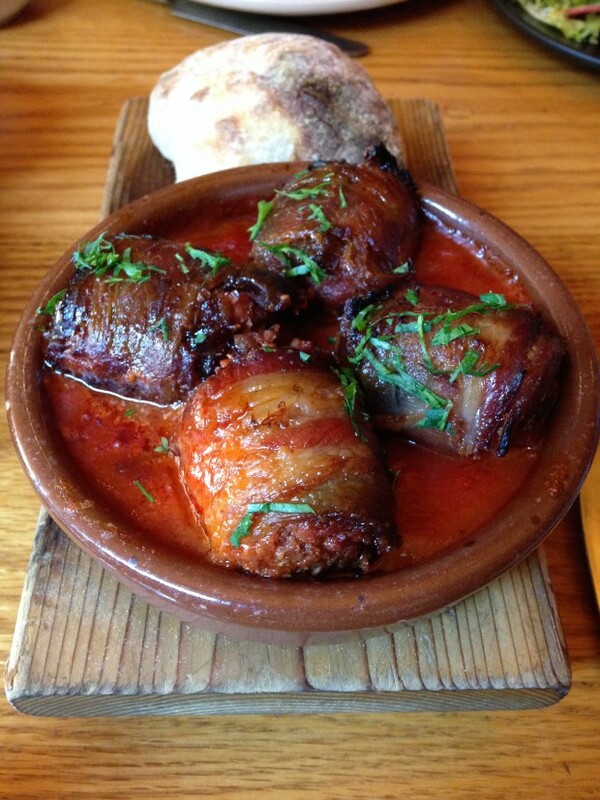 The chorizo stuffed dates wrapped in bacon are well hyped – and even better than advertised. But the wild salmon with ramps and beet puree was sensational as was the hand cut pappardelle pasta with bolognese and pine nuts. Avec will be on our must list on subsequent trips to Chicago. *Big Star – this Taqueria/Dive Bar in Wicker Park from Chef Paul Kahan instantly became one of our favorite spots in Chicago. 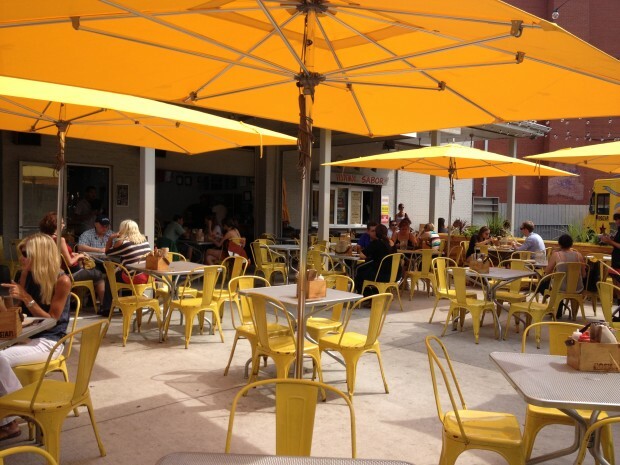 Their outside patio has a casual and eclectic vibe with bright yellow metal chairs surrounding reflective silver tables while the inside bar/restaurant area is like the inside of a large car garage. 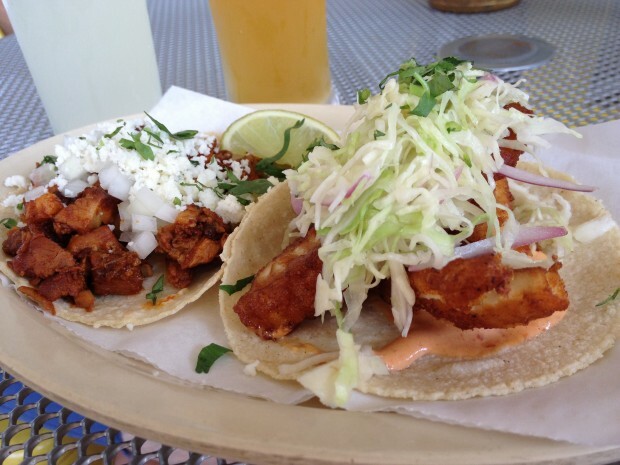 Try the Taco de Panza (crispy pork belly), Taco de Pescado (beer battered tilapia), Salsa de Frijole con queso (pinto bean dip with al pastor) with a refreshing La Paloma (Lunazul Blanco, grapefruit, lime, Mexican fresca). Everything we’ve had was perfect – including friendly and excellent service. There aren’t may places we’d rather be on a beautiful day. Cash only. 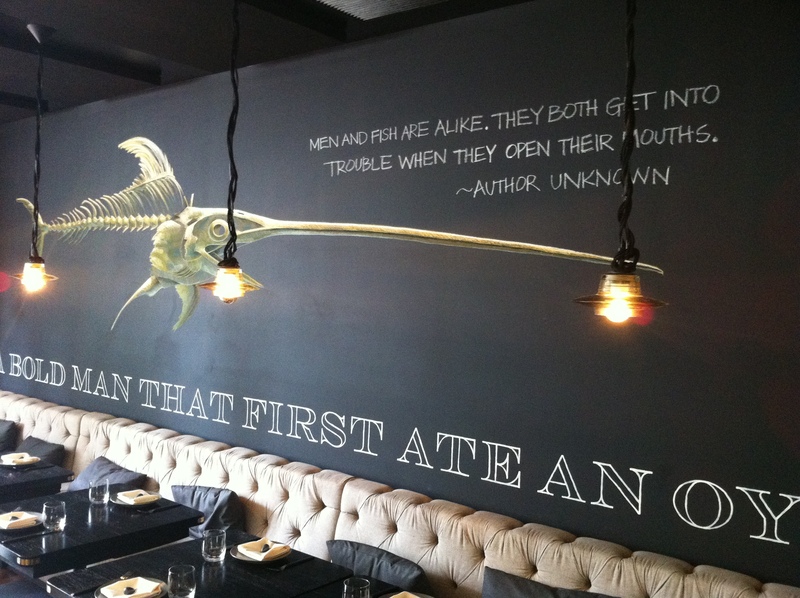 *GT Fish and Oyster – absolutely gorgeous seafood restaurant downtown from Chef Giuseppe Tentori with wonderful food. Clean modern interior with a wooden boomerang-shaped standing-bar in the bar area and beautifully designed chalk art on the wall in the main dining room. 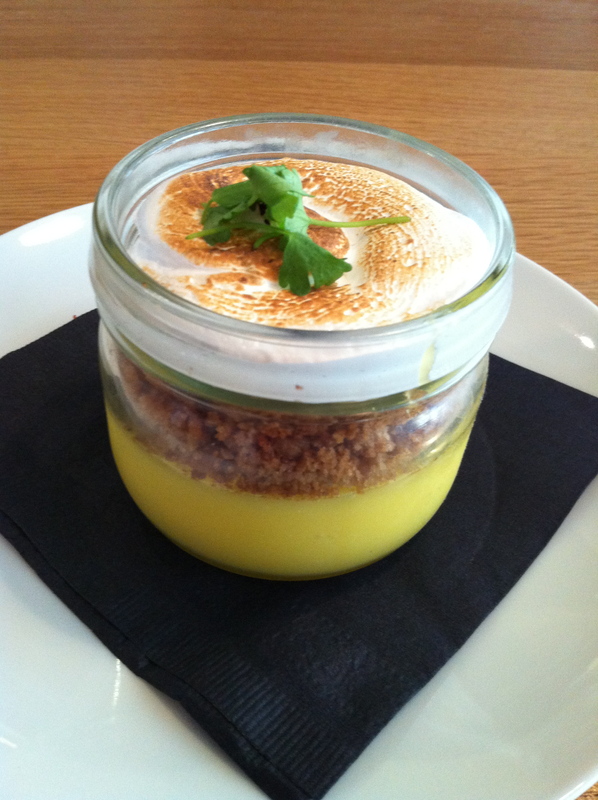 The lobster roll was fantastic and the key lime pie – deconstructed in layers in a jar with crumbled ginger snaps and toasted marshmallow topping was the best dessert we have had in a long time. We were sold on the place before we had their brunch but afterwards we were truly in love. 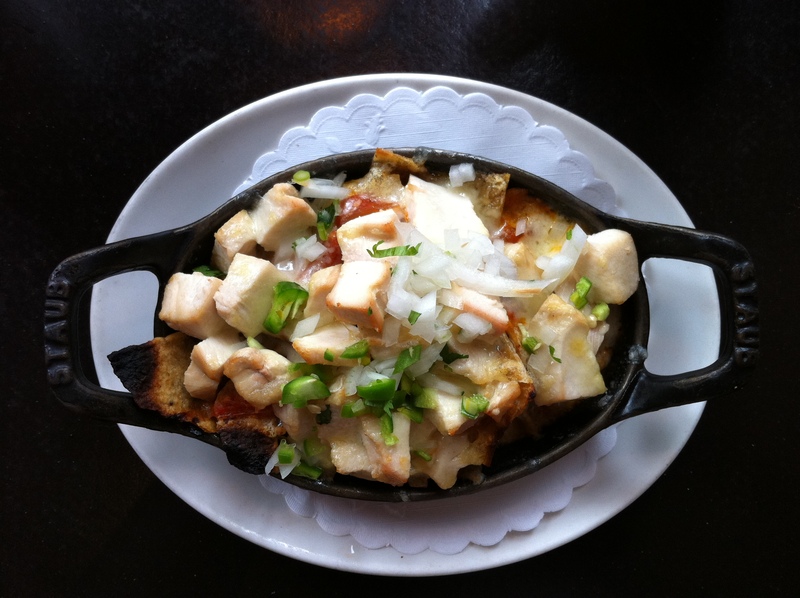 The duck chilaquiles was our Dish of the Year in 2013 and the Lobster Biscuits and Gravy, Monkey Bread, and Bagel with House Cured Lox were all sensational. A return to GT will be part of our Chicago tradition and was likely the best Brunch we’ve had anywhere. 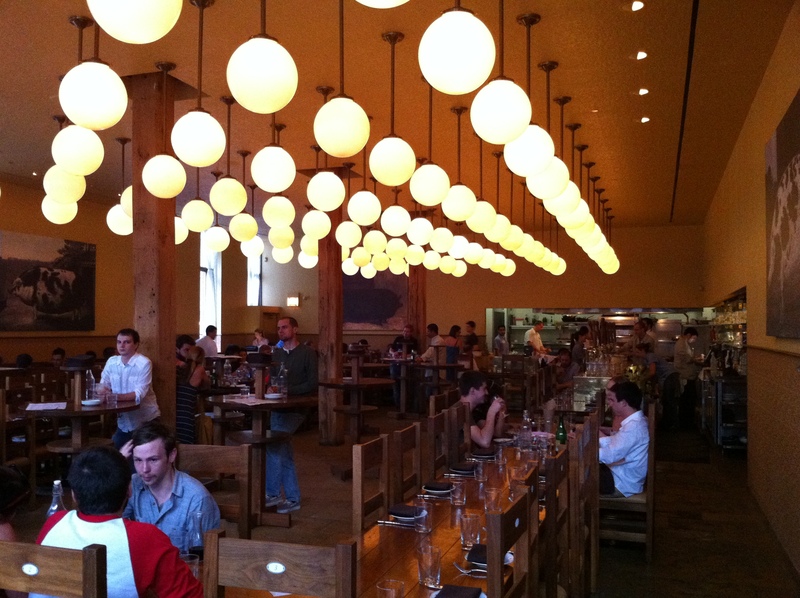 *The Publican – this amazing European beer hall/gastropub is one of our favorites and not to be missed if you are ever in Chicago. The interior is spectacular (check the photos on the website) with long wooden tables, high wooden chairs, walk in booths around the edges of the restaurant, and odd/fascinating/beautiful unisex restrooms. The beers are selected from many areas, but specialize in Belgian beers – both on draft and bottle. 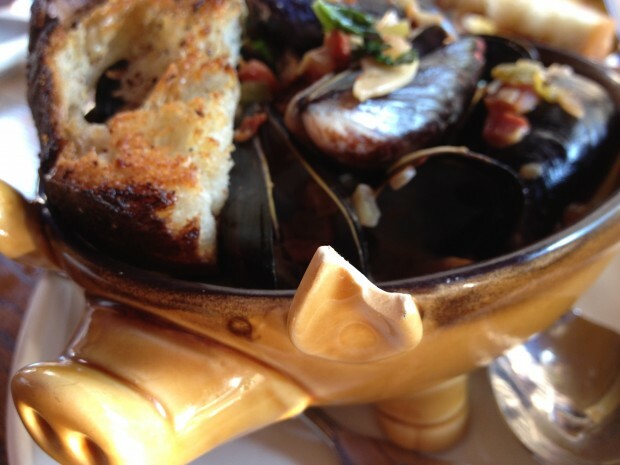 The food is equally fantastic with everything from oysters to charcuterie plates to cheese plates to mussels to frites with aioli. 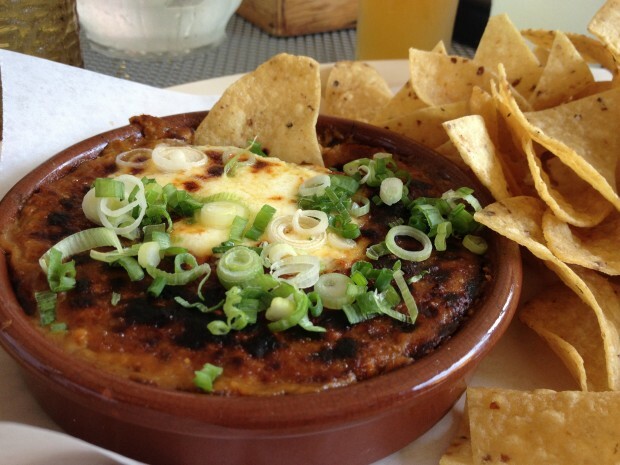 *XOCO – casual Mexican “street food” from Top Chef Master Rick Bayless. The Wood Oven Chicken Chilaquiles and Torreja (Wood Oven French toast with Bacon-Pecan Sprinkles) and Cafe con Leche are all fantastic and a better value than the food next door at Frontera Grill. Open for breakfast and lunch and dinner. 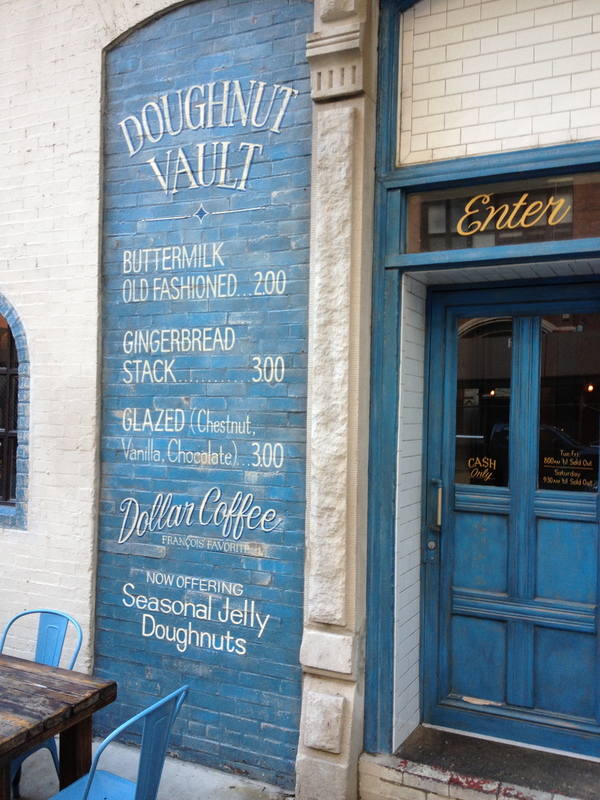 Doughnut Vault – get up early, find the line around the side of Gilt Bar and get in it. These doughnuts from Brandan Sodikoff are fantastic and they go quickly. Some mainstays (3 kinds of Glazed, Gingerbread Stack, Buttermilk Old-Fashioned) as well as rotating daily flavor (check their website for the flavor of the day). The vanilla glazed was an oversized fluffy moist treat. We are thrilled to hear that a Doughnut Vault will be opening in our hometown of Nashville in 2016. 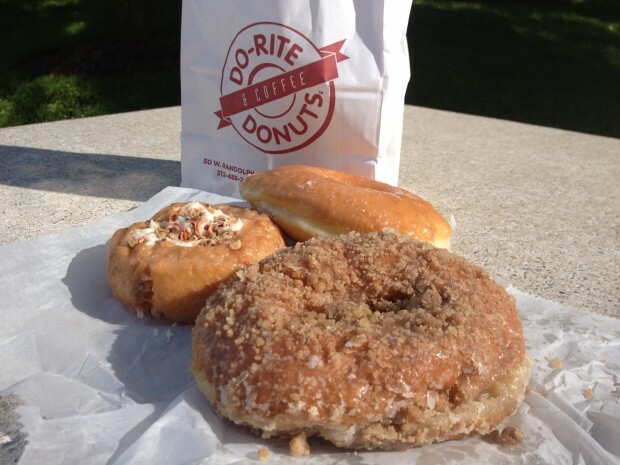 Do-Rite Donuts – this small shop near The Loop had the best selection of creative doughnuts of the 3 places we tried and had the best overall doughnut – the Cinnamon Crunch which reminded us of the warm buttery cinnamon toast our moms made us as kids. The Carrot Spice was like a small round carrot cake for breakfast. 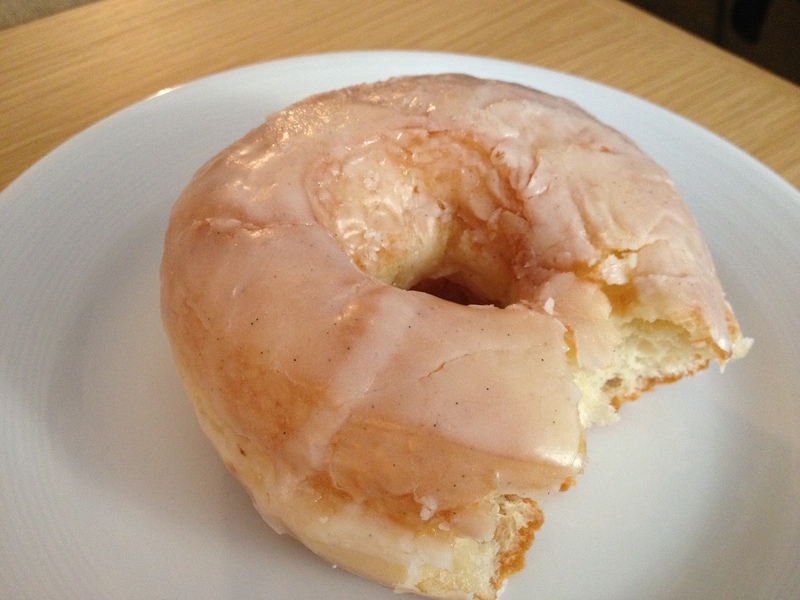 Glazed and Infused – yet another strong contender for the best doughnut in Chicago. 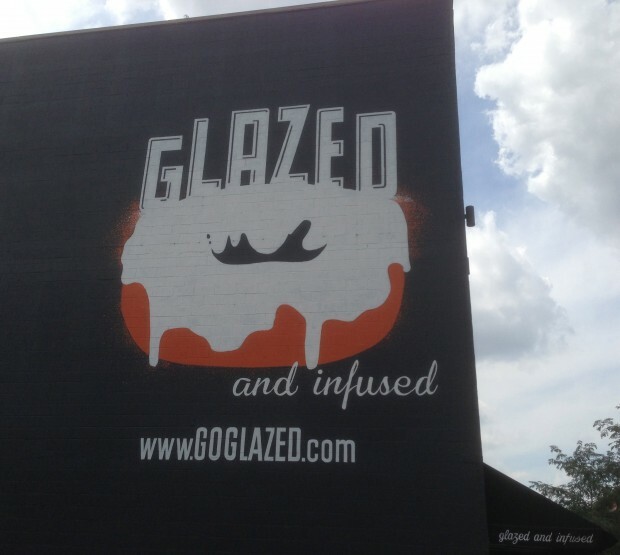 We are big fans of the large oversized yeasty vanilla glazed doughnut that seems to be the rage in Chicago and Glazed and Infused does it as good an anyone. Their Lemon Glazed Cake was also great. 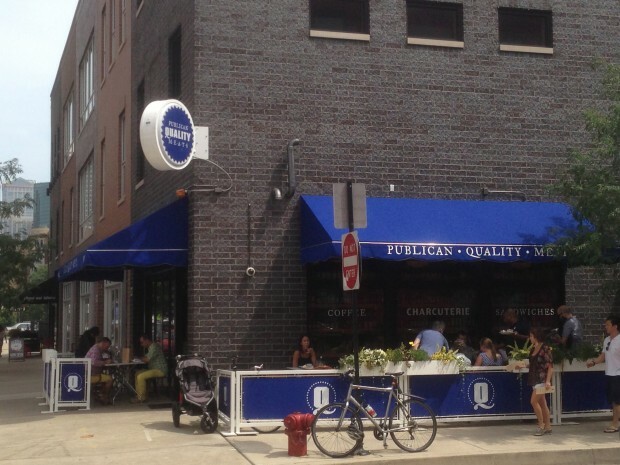 Several locations but the one in Fulton Market next to Publican Quality Meats is a great one-two combination. 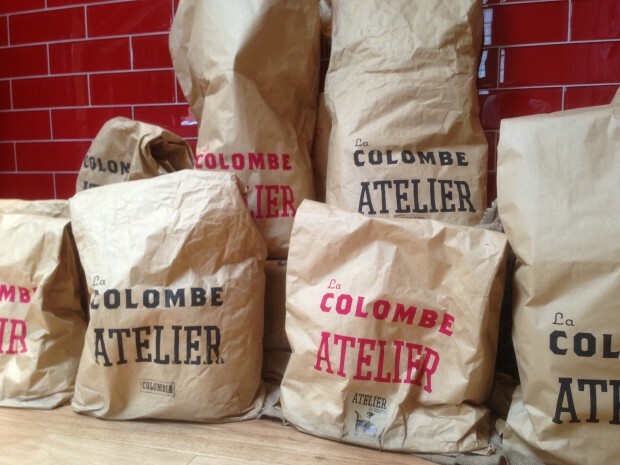 Le Colombe – locations in NYC, Philadelphia and now Chicago in the West Loop area. Roasts their beans in house and serves what we think is a better cup of coffee than Intellegentsia. 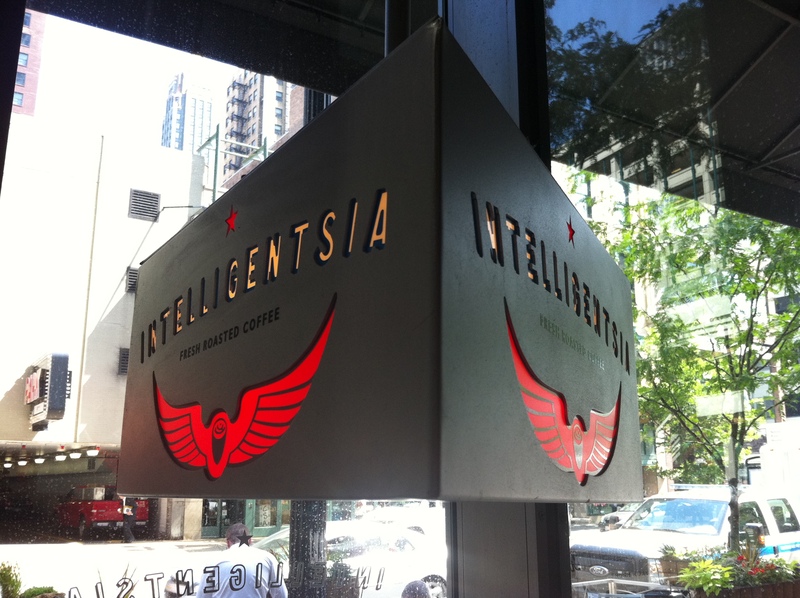 Intellegentsia Coffee and Tea – one of the forerunners of the high quality coffee movement, this Chicago based company can brew a good cup of coffee. They’ve now expanded to LA and NY and they have a great variety of blends available for order on their website as well. 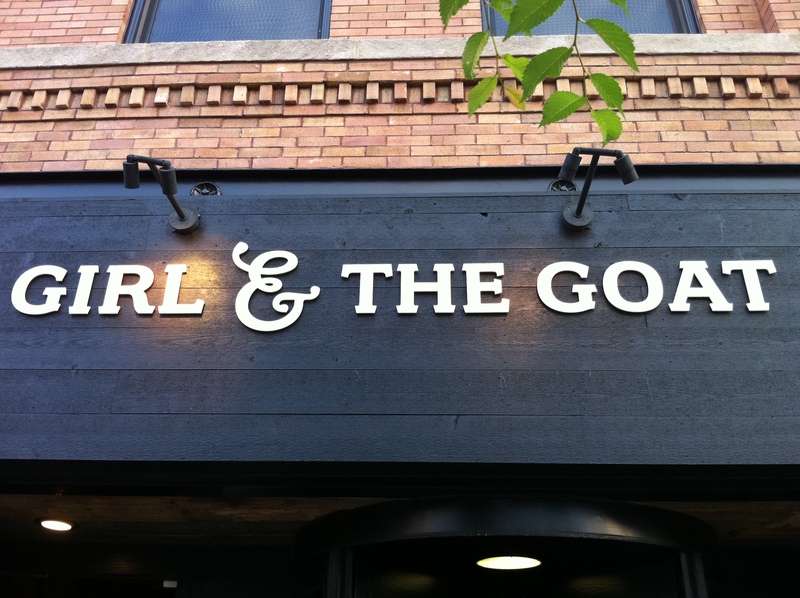 Little Goat – modern diner from Top Chef winner (and Girl and the Goat) Chef Stephanie Izard. The decor is gorgeous and the vibe is inviting to all. The food is a fun and creative play on the classic diner food. 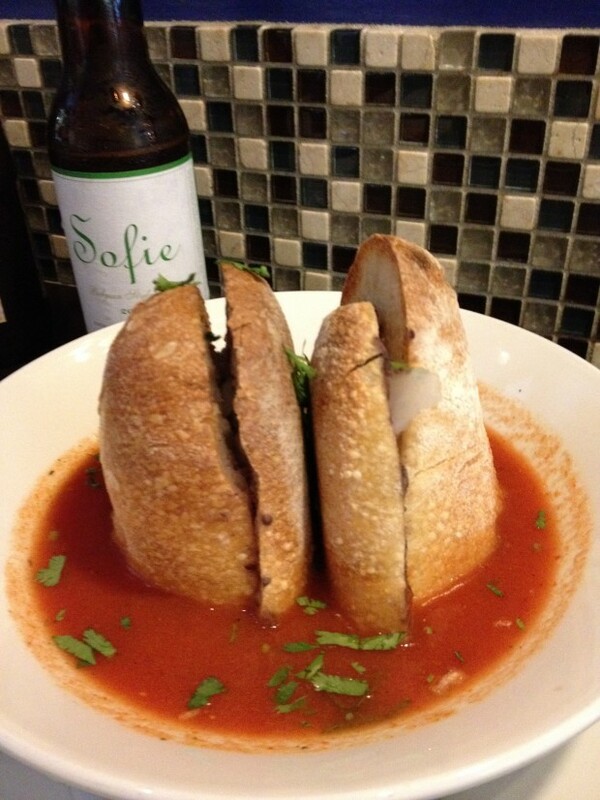 We loved the goat chili fries and the Los Drowned – a moist Italian beef with a Mexican twist. In-house bread making program and they also serve Stumptown Coffee. A great place to stop in for anything from breakfast to late night eats. They have an upstairs open air deck as well that is open in the nicer months. 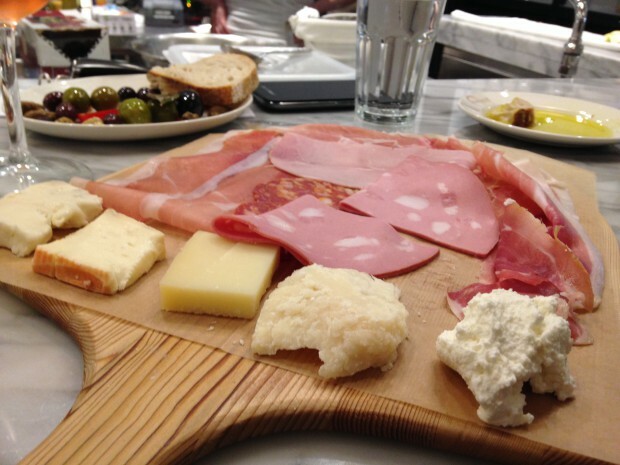 Eataly – Sure, Mario Batali and Joe Bastianich’s massive Italian food emporium plays more like a department store than a restaurant but it is a sight to behold. It encompasses 2 stories in this downtown location (the original Eataly is in NYC) – there are 8 separate restaurants, a wine bar, gelato shop, cafe, brewery and salumeria (in addition to many other things including an Italian market and wine shop). If you are downtown, a stop in here to look around should definitely be on the agenda. 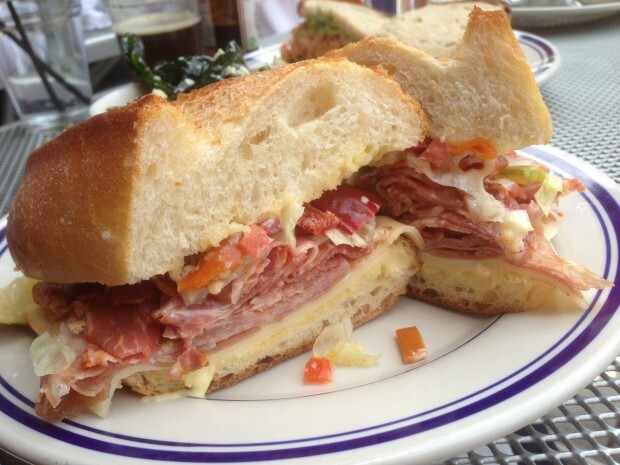 But, we’d recommend sticking around, pull up to a bar stool and get the Grande Piatto Misto de Salumi & Formaggi (a wonderful cheese and proscuitto plate) with Verdure Miste (lightly fried vegetables) and a glass of wine. 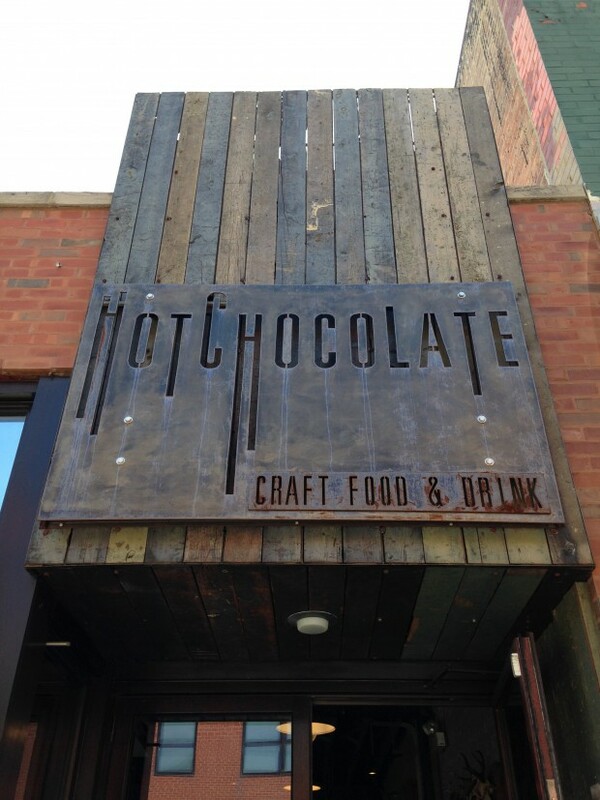 Mindy’s HotChocolate – this Wicker Park gem has been open for 7 years but has just recently received national attention when chef/owner Mindy Segal won the James Beard Award for Pastry Chef of the Year. The restaurant also underwent a nice renovation this year and serves brunch, lunch and dinner in addition to their delectable desserts. Their cappucino with burnt honey infused milk was easily the “Best Coffee” drink either of us has ever had. A return here for that cappucino will be a must on future trips. We’ve also heard their burger is one of the city’s best. 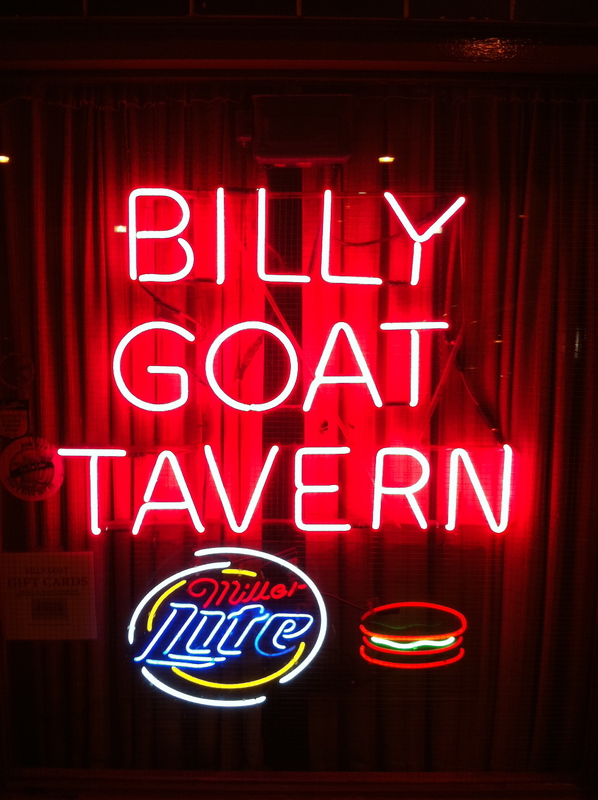 Billy Goat Tavern – legendary underground hamburger spot which has been open since 1934. Don’t even ask for fries – they only have chips – as their signs point out. Frontera Grill – one of several Rick Bayless Mexican restaurants in Chicago – this one is his most widely known. The food is great, but the interior could use an update. If you are in the mood for some of Bayless’ cooking – check out the newer more casual XOCO or the more upscale Topolobampo. 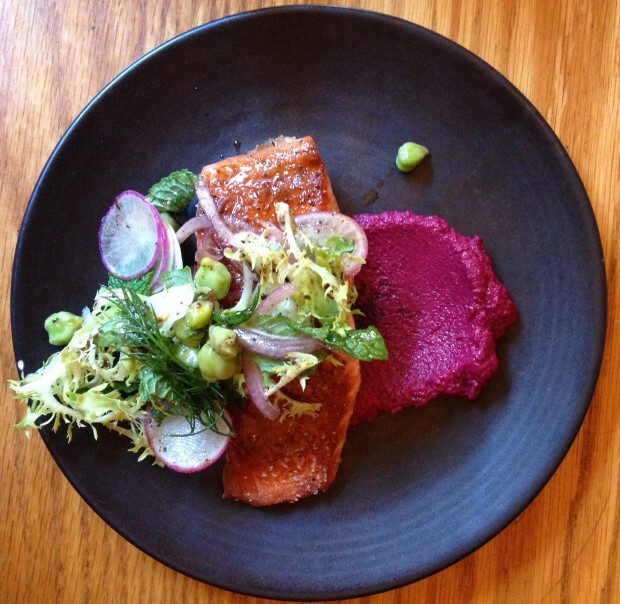 Nico Osteria – newest outpost from Chef Paul Kahan/One Off Hospitality. Italian seafood focused restaurant within the gorgeous Thompson Chicago Hotel in the Gold Coast area. Serving breakfast/brunch/lunch and dinner. Also with a small plush cocktail bar – Salone Nico off of the main restaurant. Recommend going for dinner where their whole fish and hand cut pastas shine most. 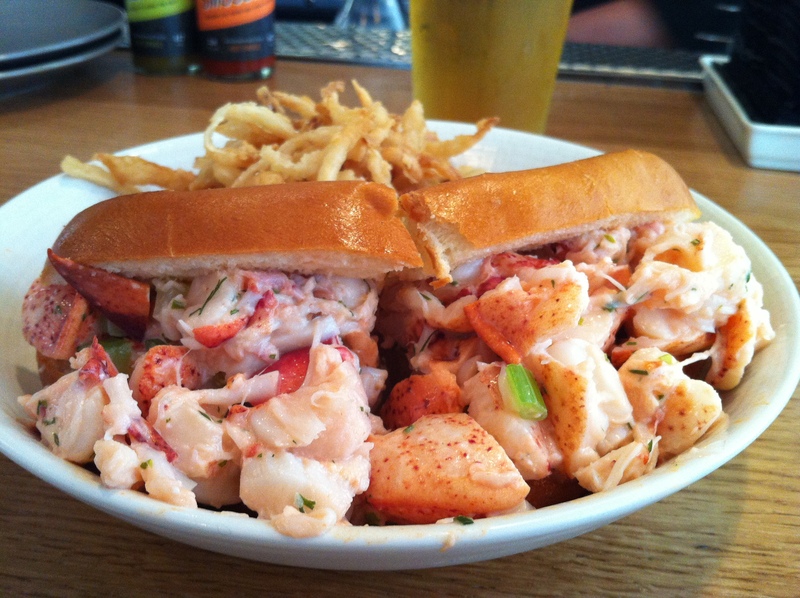 Au Cheval – popular upscale diner in the West Loop from Brendan Sodikoff (Gilt Bar, Doughnut Vault). Their housemade fried bologna sandwich and french fries covered with a fried egg were as decadent and savory as they sound. Their burger is considered one of the best in Chicago. Wash it all down with one of their 30+ beers on tap. 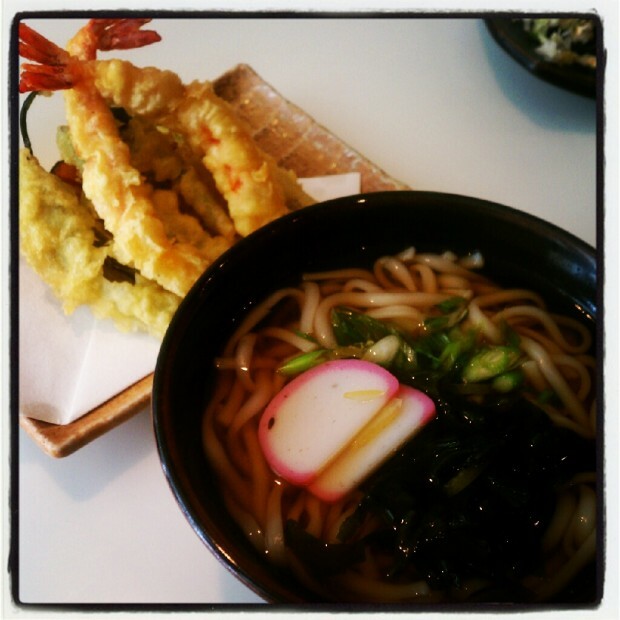 Slurping Turtle – casual/chic noodle bar from Takashi in the River North area. The Duck Fat Fried Chicken and Hot Udon Noodles with tempura shrimp and vegetables were both excellent.